This entry was posted in Fibromyalgia, nurses and fibromyalgia, Sara Corning, Sara Corning Centre for Genocide Education on June 2, 2018 by Barbara Keddy. A dreidel is a four-sided spinning top. I loved the above quote but knew not what that word meant. It makes so much sense to me now as the world is certainly spinning out of control and it is the hyper-sensitive, traumatized person who suffers the most, especially if she or he works in a high stress environment. This entry was posted in Fibromyalgia, florence nightingale and fibromyalgia, nurses and fibromyalgia on May 15, 2018 by Barbara Keddy. In my view fibromyalgia is precipitated by the emotions of anxiety/fear which began perhaps in utero, but more likely early in life in which a child develops a hyper-aroused nervous system. Traumatic episodes experienced in a highly sensitive person is a fertile place for fibromyalgia roots to take hold. Generally this dis-ease (not disease) begins to show its ugly face early in midlife. As a youngster this child is often said to be ‘highly strung’ or ‘too sensitive’ or ‘too fearful’. One woman I interviewed said she was likened to a ‘hot house orchid’, fragile and overly empathetic. I have yet to hear any of the hundreds of people I have either spoken with or read about who did not say somewhat the same about themselves. Tuned in to the world in a hyper-vigilant, overly caring way, the parts of the brain which can distinguish between that which is safe, or conversely fearful in our environment, is in a state of disarray. Anxiety predominates the personality of the fibromyalgia person. This entry was posted in adiemusfree, Carolyn Gimian and fear, Dr. Norman Doidge, fear and anxiety in fibromyalgia, Fibromyalgia, florence nightingale, hypervigilance in fibromyalgia, Mindful magazine, neuroplasticity, nurses and fibromyalgia, PTSD in the military, walking meditation and fibromyalgia on March 17, 2016 by Barbara Keddy. Florence Nightingale is famous as the woman who developed modern nursing. From May 6-12th we celebrate ‘National Nurses Week’ in honour of her birthday which was on May 12th, 1820. However, her birthday is now also celebrated as ‘International Chronic Fatigue Syndrome and Fibromyalgia Awareness Day’. 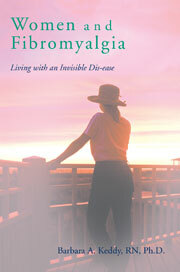 It is thought by many to have been fibromyalgia that Ms.Nightingale suffered from most of her adult life. This entry was posted in Dr. Kevin White, Fibromyalgia, florence nightingale, nurses and fibromyalgia, PTSD, shell shock on May 14, 2015 by Barbara Keddy. Two words that are now often coined in conjunction with fibromyalgia are cognitive sensitization and somatic sensitization. I have been exploring the research in this direction for the past couple of years and have recently had another ‘aha’ moment. I am not sure which comes first but with regard to ‘cognitive sensitization’, because of the excessive degree of empathy for others and fear/anxiety for ourselves there is vivid brain activity in the amygdala. People with fibromyalgia worry excessively and our attention to health related information is extremely high. The meaning that pain has for ourselves, the sufferer, or for others whom we perceive to suffer, poses increased threats which affects ‘somatic sensitization’, that is, increased reactivity of the nervous system. In turn this lowers the pain threshold and affects pain tolerance; the consequence is that the fibromyalgia syndrome develops. The two are interrelated but what does that mean in simple language? One hears, in fact seeks out, health related information, subsequently anxiety and fear develop (the amygdala is over reacting to perceived threat) increasing the overstimulation. Then a low tolerance for pain develops. Accompanying this pain is a myriad of other symptoms. But is this too simply stated? What can this cognitive sensitization actually produce within ourselves? This is a process within the brain as it receives cues that bring about arousal from a past traumatic event, that becomes an actual sensitization of the neuro system. In what ways then does this anxiety/fear invade our brains? This entry was posted in caretaking, catastrophic thinking, cognitive sensitization, excessive empathy, Fibromyalgia, heart pounding, medications and fibromyalgia, neuro system, nurses and fibromyalgia, over-stimulation, pain tolerance, panic attacks and fibromyalgia, Peter A Levine, Robert C Scaer, sharp brains.com, shortness of breath, sleep disturbances and fibromyalgia, social neuroscience, somatic sensitization, suffering and fibromyalgia, tingling sensations and fibromyalgia, trauma and fibromyalgia, worriers on July 17, 2012 by Barbara Keddy.